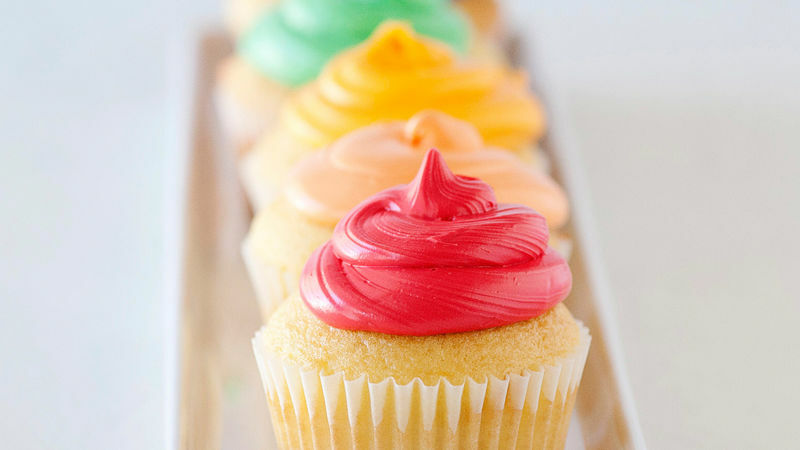 Tint frosting with desired food colors. Pipe or spread frosting on cupcakes. Kids love these cupcakes. Make your child’s favorite color for his or her next birthday party. Experiment with various color combinations…the frosting can be your artist’s palette.